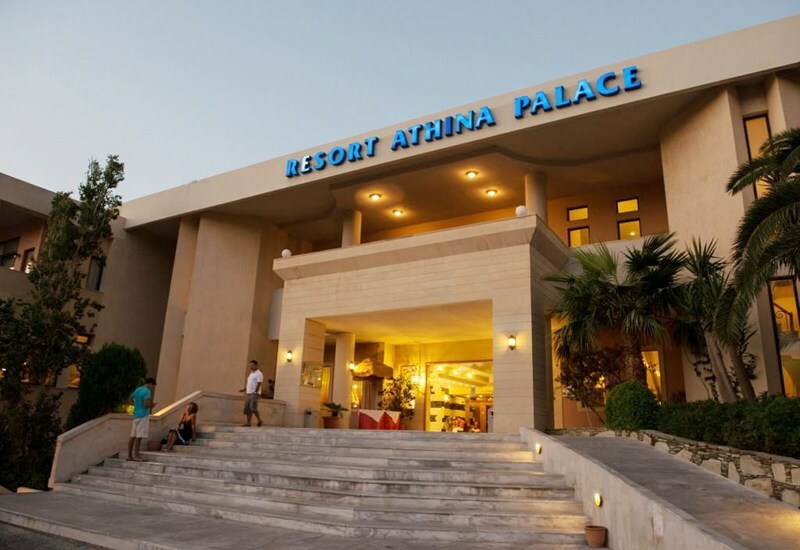 Welcome to Athina Palace in Lygaria. The closest cities to the hotel are AGIA PELAGIA (5 km) and HERAKLION (15 km). To make your stay more comfortable shops, a mini market, a lobby, a reception, a conference room and a lounge are available. For guests who wish to be mobile, car rental can be arranged. The staff in this hotel speaks English and French. A playground for children is available. The hotel features a swimming pool with a separate children`s pool. Guests can unwind with a drink at the poolside bar. Sunshades and sunbeds are available free of charge at the pool. Distance from the hotel to: airport (17 km). The hotel is within easy reach of markets, tourist information and bars and restaurants. For your entertainment the hotel features a TV lounge. Vehicles may be parked in the parking lot.